Originally designed for the iPhone 4+ and ported to Windows, Mac and Linux. 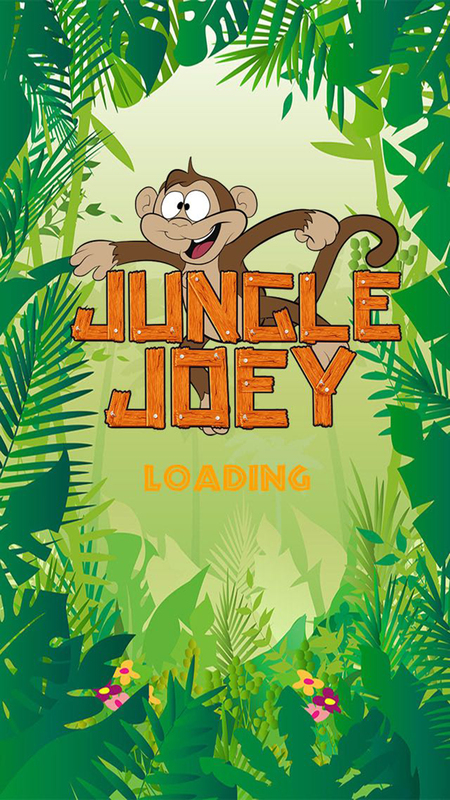 Jungle Joey can be played by children aged 4 years and older, with colourful blocks depicting monkeys, giraffes, hippos, elephants, pigs, pandas, snakes and rabbits and a jungle-themed soundtrack it will help develop patience, reactions and coordination. 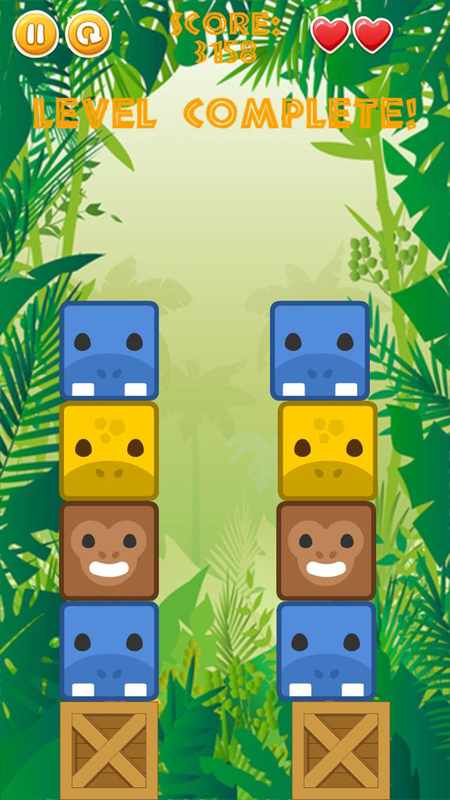 With 3 difficulty levels, the game is suitable for young children and adults alike! Easy: Blocks move very slowly and there is no penalty for missing a block. Lose a life if you tap on the wrong block. Medium: The game starts slightly faster and there is a points penalty for missing the correct block. Lose a life if you tap on the wrong block. 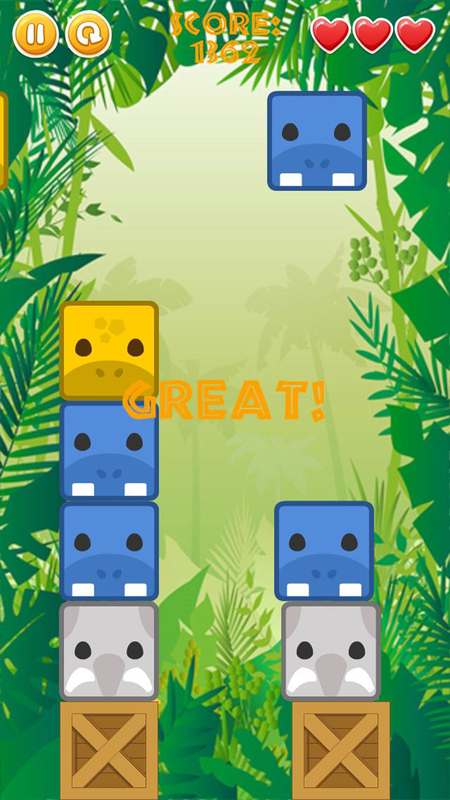 Hard: Super-whizzy blocks with life and points penalties for letting the wrong block past, suitable for whizz-kids and adults alike! 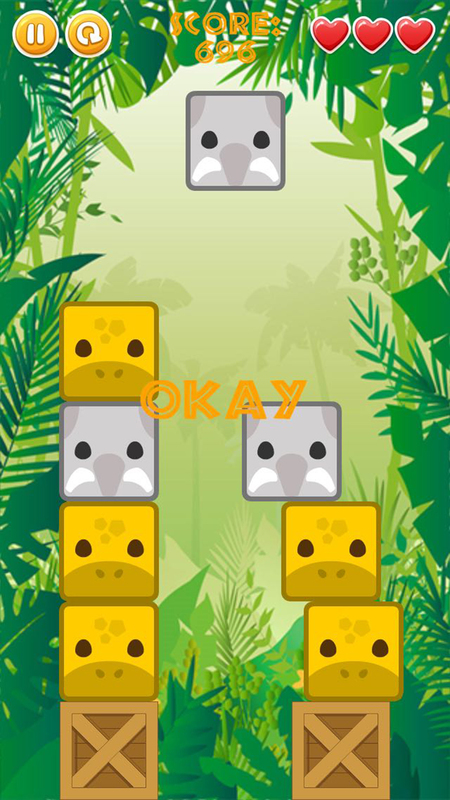 The game starts slowly with only two different types of block. As you progress through levels, prepare for things to hot up! 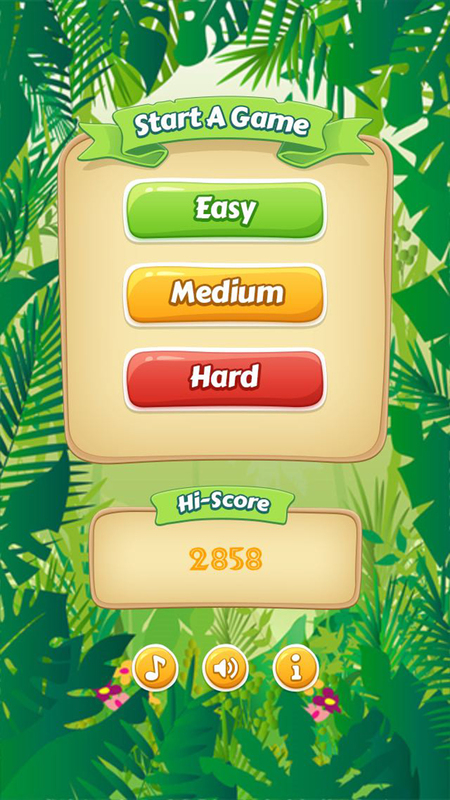 Each levels sees incremental increases in game speed along with more points! Can you set a new record? Your highest score will be saved and displayed on the main menu.